BREAKING: Salman Khan Gets Bail On Blackbuck Case After Spending Two Nights In Jail! 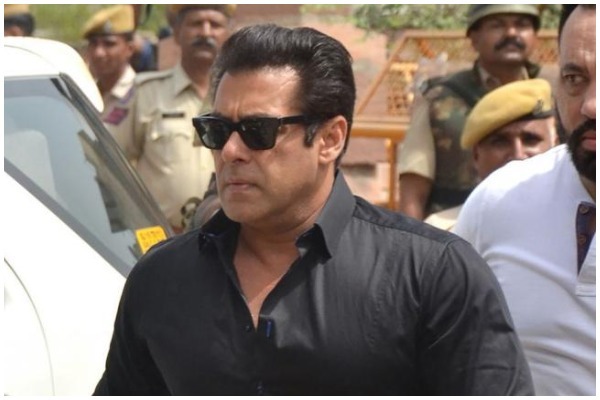 Jodhpur sessions court on granted bail to the Bollywood actor Salman Khan in the blackbuck poaching case of 1998 with two bonds of Rs 50,000 each. The whole country had been eagerly waiting to know whether Bollywood actor Salman Khan will be granted nail or no. Finally, after spending two nights in Jodhpur Central Jail, Salman Khan has been granted bail in a 1998 blackbuck poaching case. The actor will have to furnish a bail bond of Rs 50,000, following which Salman will be allowed to leave jail. It is a huge relief for the actor who was sentenced to a 5-year jail term on Thursday. Salman Khan fans just can’t hold excitement and are currently celebrating actor’s bail with mixed emotions. Thousands of fans started celebrating outside Jodhpur court as soon as Khan’s bail plea hearing was concluded in the Jodhpur District and Sessions Court in front of Judge Ravindra Kumar Joshi today at 3 PM. As soon as paperwork will be finished, the actor will be released on the bail. However it’s little tricky situation if Salman Khan would be released from prison today or not as the paper work needs to be finished within 5pm i.e next two hours, as jail authorities usually do not release convicts after sunset. However, Mahesh Bora, the lawyer who argued Salman’s bail plea said he expects Salman Khan to be released from jail by 6pm today.